​The experts in demolitions, the deans of deconstruction, Atlanta Demolition Services has been working close to the great people of Atlanta, Georgia for a long, very long time. During those light years, we have been participating in all the major demolition projects of our great metropolitan and we are pretty damn good when it comes to safety, quality and organization. 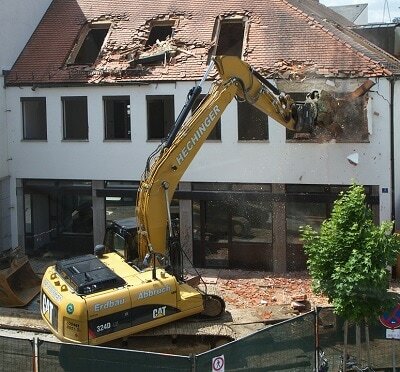 When the buildings (residential or commercial) see our excavators approaching, they are like: "Peace out." Many times we don't even need to take them down our selves. They just collapse from our wonderful presence. But pretty much any demolition contractor can toot their own horn right? That's why please don't listen to us. Hear our customers in the background voting and naming us the #1 Atlanta Demolition Company. We are proud to say, that in so many years (over 20) of being in the demolition business, we have never had a single serious accident or incident. We always make sure safety procedures are followed to the final letter, and everyone from the crew acts in a very responsible manner on the site. Booze and alcohol are never allowed, so you have the finest and most focused labor force in Atlanta, GA! Not only that, but everyone is fully licensed in their own unique profession. All the excavator operators and the engineers have all the experience and legal documentation to qualify them for the job. We never put a newbie on an important demolition site or even a smaller one that may be tough for them. Everyone goes through intense training and unless one is super experienced with success under his belt, he ain't allowed to do anything aside of maybe answering phone calls. So rest assured that you will get the most experienced professionals coming out to your site. We pay our employees well because we expect from them outstanding results and a team work like you've never seen before. This isn't an individual little project. These are dynamics of a whole team that need to work together and stay synchronized so that there is efficiency and risks of mistakes and accidents are eliminated. When it comes to pricing, we are actually very competitive. Although we are a large company with lots of engineers and labor workers standby, we don't do reckless spending. So that means we are able to keep our overhead balanced and offer you the lowest prices you can possibly get in Atlanta for demolition. If you just price shop, some of the prices these other companies are giving are ridiculous. They will try and up-sell you for something you don't necessarily need that very moment, and basically try and squeeze an extra buck out of you anyway they can. Not us...we value and respect our customers too much to act in such a way. We will make sure our pricing is right so that we can pay for our machinery and our workers, but nothing overpriced, and nothing that shouldn't be at the reasonable rate. Because we haven't had any law issues before (like lawsuits or insurance problems) we never really had to go through choppy waters. So that has kept our cash reserves "green" to take on larger and more complex projects. 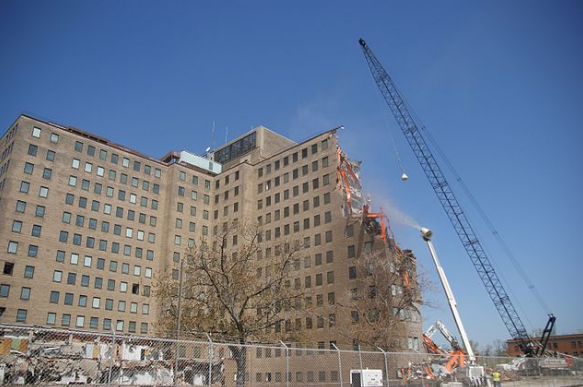 As we constantly keep on saying, we use the latest technology equipment available for the demolition industry. So we don't cheap out when it comes to having all the tools we need to perform in a safe and effective manner. 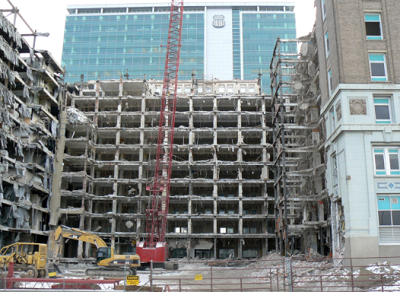 Below you can review all the services that are offered by this fine demolition contractor and his experienced crew. We only offer the best results and the greatest quality work. 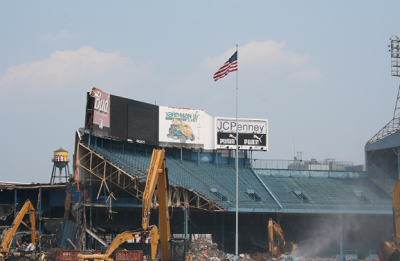 One time demolition will be enough - we won't need to be coming back to correct mistakes.